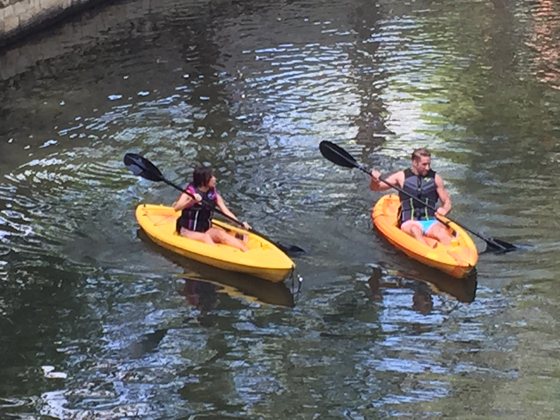 Another public date yesterday in San Antonio that plenty of people on social media spoiled, as Kaitlyn had a 1-on-1 date with Shawn Booth. 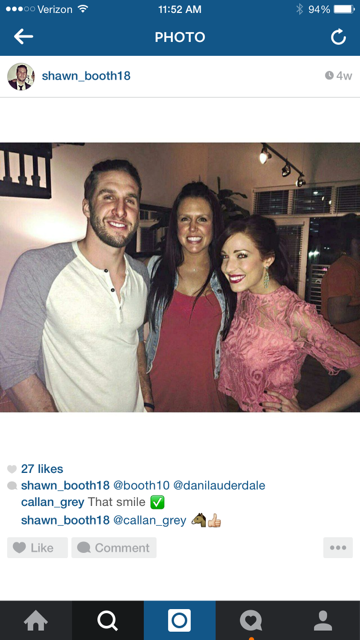 He’s a guy that was on the sumo wrestling date that Kaitlyn got quite cozy with (in the video you’ll see I had from that day), as well as someone who initially caught Kaitlyn’s eye because Shawn was the guy who received the first impression rose this season. 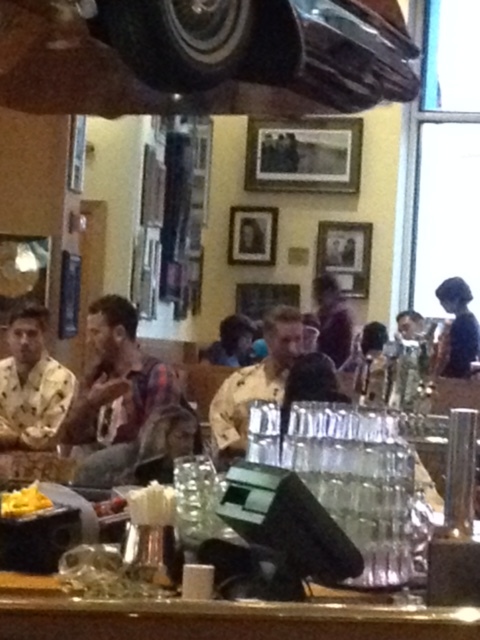 Not to mention, the Ryan Gosling comparisons have already started. Yeah, I can see it. At the rap battle, it was brought up during his “battle” with his opponent. 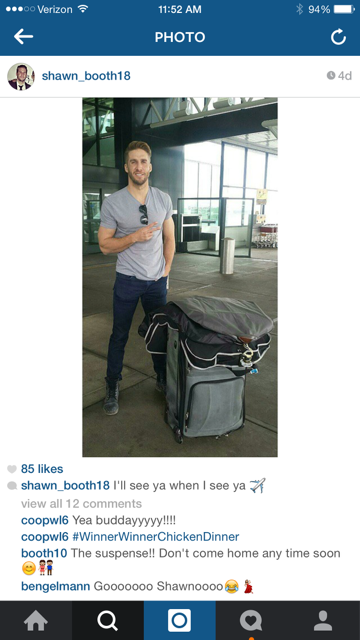 I’m gonna go out on a huge limb here and say we can probably expect Shawn to be getting a hometown date this season. I don’t think I’m overstepping my bounds by saying that. From everything I’m hearing, he’s definitely one of the top guys that are left. 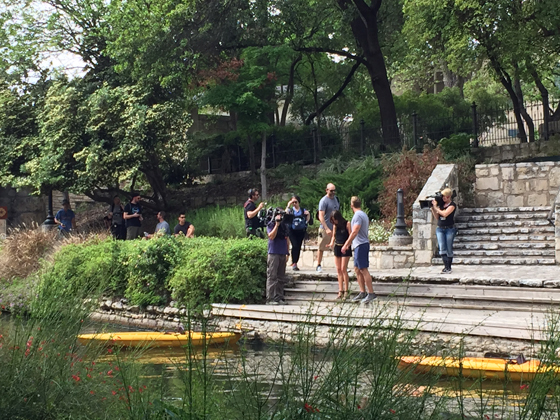 And if she doesn’t choose him, you can immediately put him near the top of the list for the next “Bachelor.” Now granted, it might be tough for this guy to keep a secret considering how many people he told about going on the “Bachelorette” (more on that in a little bit). 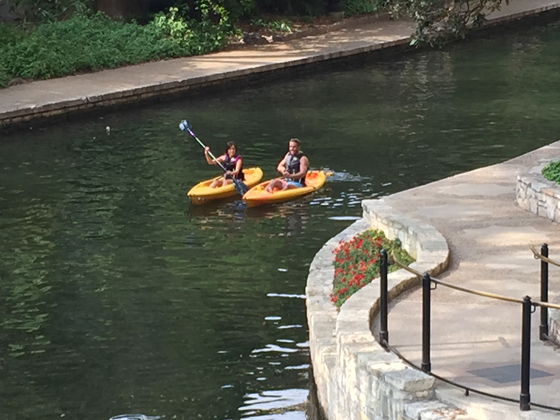 In case you weren’t following on Twitter yesterday, here were some of the tweets that started coming out in the afternoon when these two went kayaking in the River Walk. 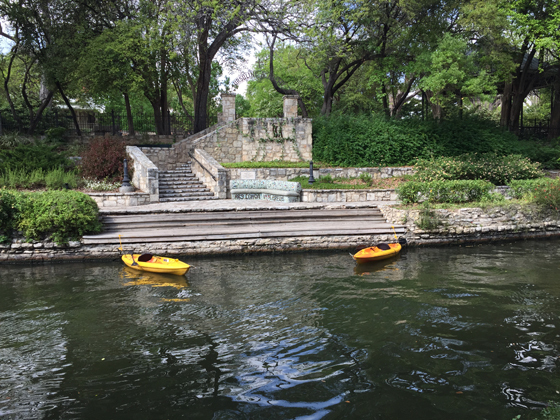 They kayaked towards downtown as the film crew was in a barge ahead of them, and ended up at the Arneson River Theater at La Villita. As for his bio, it has been added to the Kaitlyn’s Guys page in the navigation bar up top. That brings us to 11 total guys that I have released so far. Right now, I have 23 of the 25 profiles and bios done. I have the first names of the other two guys, just not their bios. They aren’t important to the season anyway, so I’m not in a rush to find them. I will be releasing those little by little as the season wears on. Like I said, I just want to see how this plays out before I start unloading all these guys on you. Be patient my friends. There’s a lot you will be filled in on. In the meantime, enjoy all these dates getting spoiled by social media because it’s not gonna last much longer. 11. 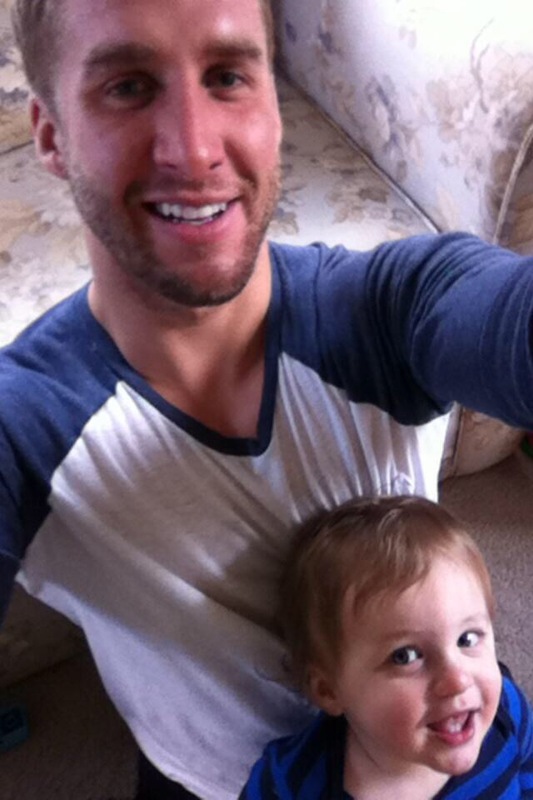 Shawn Booth: 28, Nashville, TN. Originally from Windsor Locks, CT. Graduated Keene State College in New Hampshire in 2008 where he played soccer. This is his sister Meghann’s FB page and Instagram (booth10) account. Moved from Connecticut to Nashville a year ago to do consultant work for insurance companies, but as you’ll see, has since resigned from that job and when he returns from filming, he’ll go back into teaching group fitness classes. 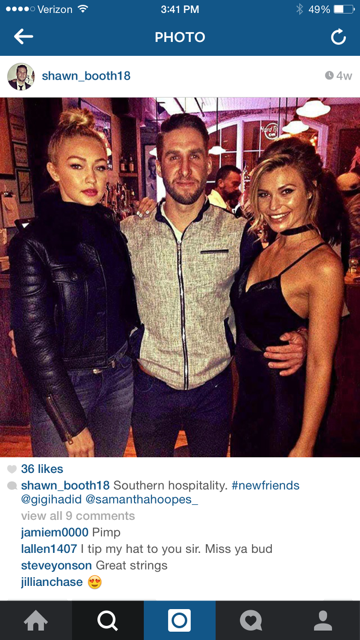 Also buddies with Ron Worrell from Andi’s season, as you can see a few pictures on his Instagram of them together. 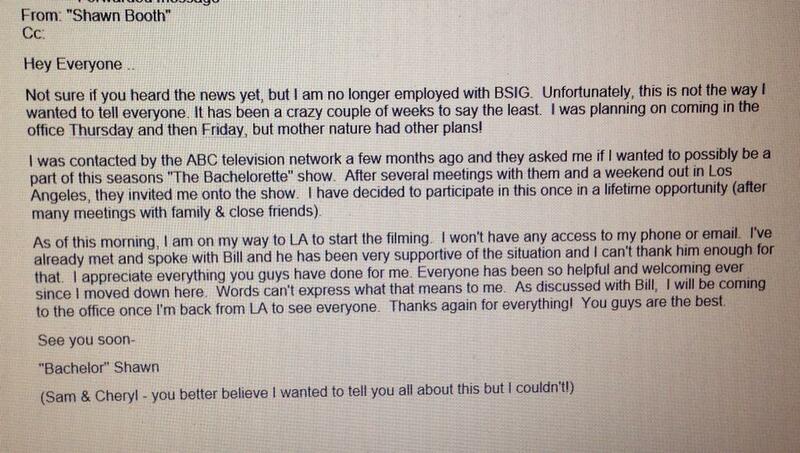 This was an email he sent out to co-workers telling them he’s resigning to go on the show. It was posted on the Twitter account of @kaylaa_nichols at the beginning of March, but has since been deleted. Woops Kaylaa. Be a little more careful next time. 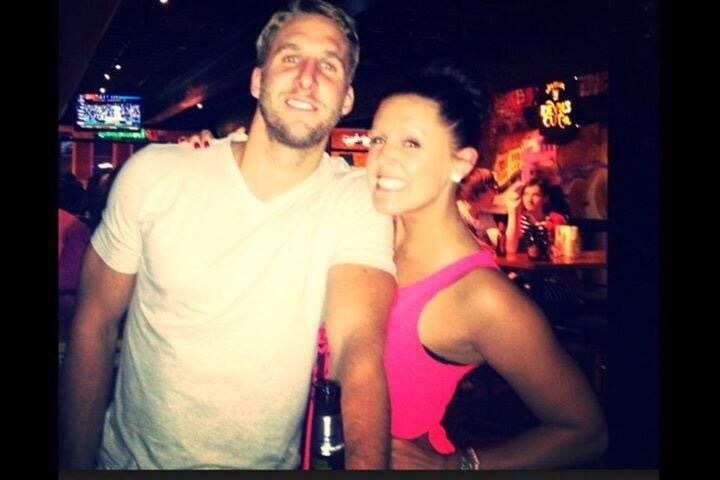 Shawn Booth is a poor man’s version of Ryan Gosling (very poor….). Catherine Lowe’s baby bump joke was a joke. Certainly she should’ve learned by now that you can always offend someone. 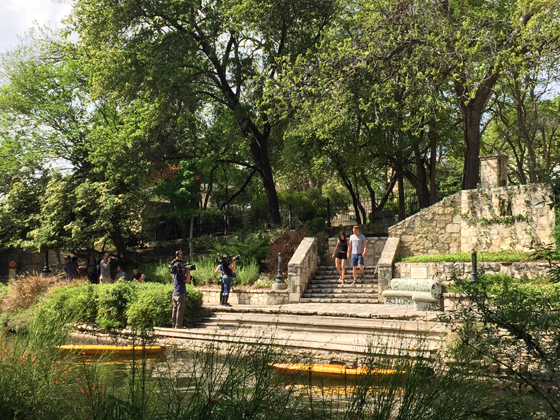 The fact that Sean came to her defense by blogging about this silliness, was a little much for me. Then again, I’m not a fan of this couple, so I suppose I’m biased to judge anything they do harshly. Shawn has one of the longest faces I’ve ever seen. He also looks very unkempt to me with all that shaggy face fuzz. Not a look I like at all, though Kaitlyn seems to be a big fan. Puleeeze! Ryan G. is so much better looking than this bloke. That nose… he looks all helter skelter to me. Yuck. Ron Worrell is HOT. 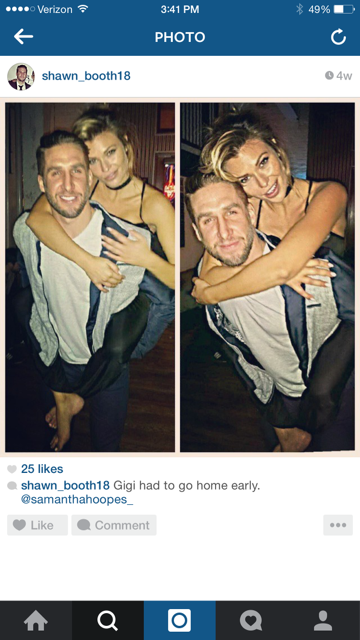 I really wish he would have lasted longer on Andi’s season. prob one of the best eye candies this show has had IMO. 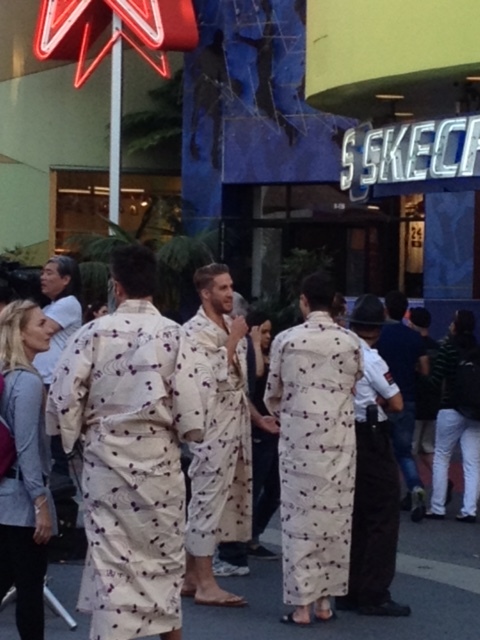 Ryan Gosling is a poor man’s version of Ryan Gosling. Never saw what the fuss is about.